Our good friends over at Chewy sent us a product for a review. 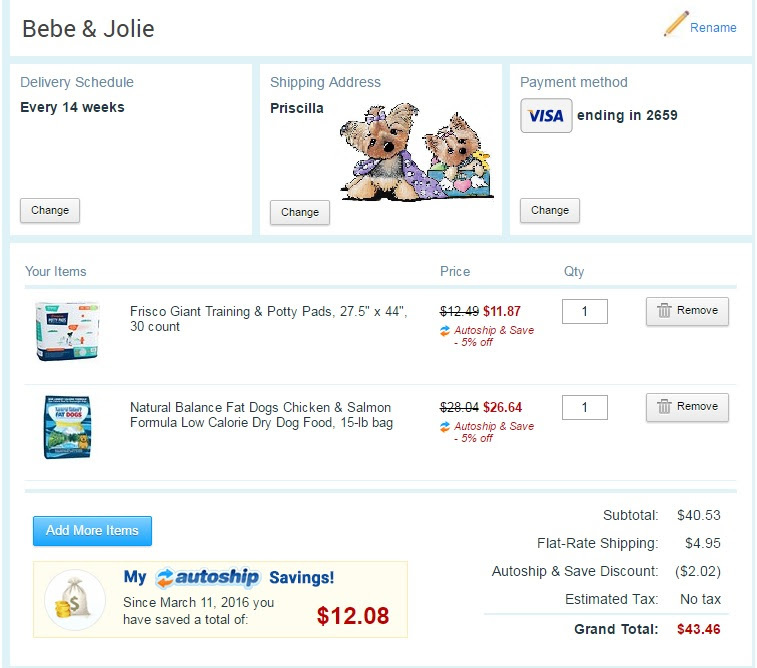 I am a fan of the Chewy website and have Bebe and Jolie's food on auto-ship every 14 weeks. They give you amazing coupons and discounts if you sign up so I would check them out! I prefer it over Amazon Prime for all my pet needs. These pads have a built in attractant in them and this made me so happy because as you can see my dogs did all their business on the pads, which means less cleanup for me! When I came home I noticed that there weren't wet paw marks, Frisco lists that the pads are fast drying and indeed they are. I used to use another brand that roughly ran me $20 a month for 30 pads, however this is a much better deal! Only $11.87 for one month supply of the huge sized pads of 27.5 x 44! I hope you all enjoyed this product review, please feel free to leave any comments or questions below! Have a pawsome day! I am still a fairly new transplant to Arizona and I am learning the do's and don'ts as I go along the way. A few weeks ago I decided to take my pups on a hike with me. It wasn't a particularly hot day, it was somewhere in the mid-80s and we went early in the morning. If you live in Arizona you know that you cannot go hiking in the afternoon during the summer months. Many people faint and even die of heat stroke and dehydration. It is not uncommon at all to hear of helicopters coming to rescue people stuck on a hike. You must practice extreme caution and prepare accordingly with a lot of water. I, unfortunately, learned this the hard way after guzzling through two water bottles while hiking CamelBack Mountain and then didn't have enough water to get me back down. Luckily I wasn't alone and was able to drink some water from my boyfriend's supply. Since then I've invested in a CamelBak (I find it comical that they have the same name) that holds 100 fluid ounces. These hydration backpacks are essential out here in Arizona! It is also good practice to pack some antibiotic ointment, alcohol wipes, band-aids, granola bars, nuts, dried fruit and some ibuprofen. I have had quite a few things happen while on hikes, I've fallen, gotten scraped by cacti, scuffed my knees on rocks, and have gotten dizzy from the sun. Planning ahead will surely help you in these sticky situations. We picked a Sunday morning to go hiking and I thought it was cool enough to bring my dogs. My friends and I started a 90-minute hike which was about 4 miles long. The hike was at South Mountain which is an easy hike to do and very beautiful as there are some Machu Pichu looking structures along the way. For comparison, I've added a photo of me in Machu Pichu and one of me in South Mountain! Just looking back I imagine 4 miles for me would actually be 10+ miles for my dogs with all the extra steps they have to take! The videos below show Jolie going strong and really pulling through the hike. I did touch the floor and it wasn't too hot, however, I didn't touch the rocks which I think were what burned her paws. Bebe didn't have such a great start, she would walk for a little bit and then just stop. She was panting heavily and her heart rate was racing. I gave her plenty of water and carried her the rest of the way. Bebe panting and giving up poor thing! It was about three-quarters of the way into the hike that I noticed Jolie headed for shade. She didn't stop walking like Bebe did so I thought she was okay. I picked her up a few times and gave her ice water but she kept on walking. Little did I know that it takes only 60 seconds for damage to occur to the dogs' paws on hot asphalt. I don't exactly know when the burning of the paws happened but I am narrowing it down to the end of the hike and the walk from the trail to the parking lot where there was asphalt. According to the Humane Society the air temperature can be comfortable but the actual temperature on the floor is many degrees higher! The following day Jolie couldn't walk well and I was puzzled as to why. I thought she had stepped on a thorn or was just sore. When I played with her and had treat time, I asked her for her paw, as I always do because she is very good at "give me paw" and "circles" she let out a small yelp. It was then that I went to examine her paws and started to cry. Her paw pads had been burned off! She had loose skin in the area, just think of calluses or hanging cuticles on your hands and it looked similar, or better yet take a look at this google image which is a close idea of what my dog had on her paws. I, unfortunately, didn't take a picture of my dogs' actual paws because at the moment I panicked, cleaned the area, did all the research I could online, applied antibiotic ointments and then wrapped her paws in gauze. I repeated this the next day and by the third day she was completely fine and walking around like her normal self. Bebe did not have any burns on her paws and I imagine it's because she was carried most of the way. There are so many cool spots to hike and explore in Arizona. 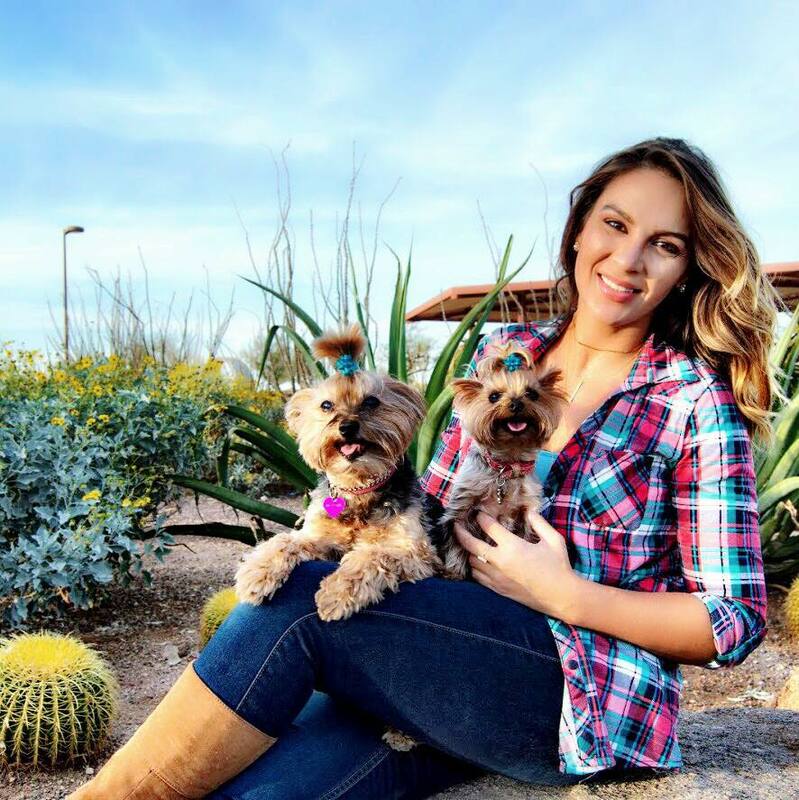 If you're planning a trip to Tucson and don't have where to stay yet, I urge you to check out these Luxury Resorts in Tucson fur where we stand, they look pawsome! It was a beautiful day for a hike but next time we will take proper precautions. Please keep these tips handy if you are wanting to take your dog on a hike in the summer. I hope you all enjoyed this blog post. Please comment below if you have any questions.